Well here we are at the end of the summer and still catching beautiful speckled trout on the oyster reefs near the barrier islands. 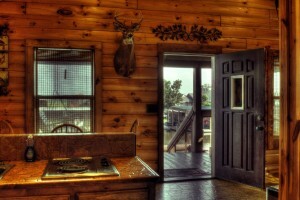 We had a full house this weekend at Bayou Log Cabins Fishing Lodge. Some of the clients brought their own boat, some were in small cay acts, and others were renting our small boats to spend time on the water. 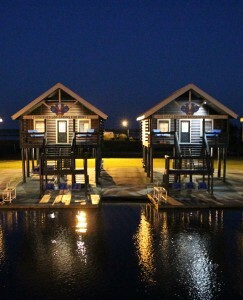 Seem like where ever you went fishing this past weekend you would catch something. Some came in with large sheep head, when others came in with boxes of beautiful red fish. 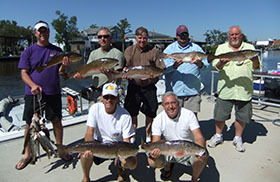 Of course, no one came in with any speckled trout that was fishing the interior bays and pipe line canals. 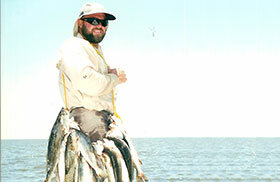 The big yellow mouth speckled trout we been catching are still working the barrier islands near the Gulf of Mexico. It will not be long they will start the transition inland to the shallow duck ponds and shallow lakes for the fall season. As the water temperature cools down a little bit they will began their migration in for the fall & winter fishing season. 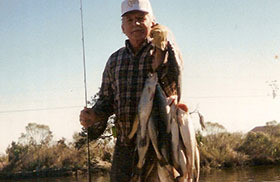 I have been noticing the tails of all the speckled trout we been catching are raw from stirring up he eggs off the bottom of the sandy beaches so the males can pass by and spray them to fertilize them. Once a female lays her eggs the male will pass by and spray them to fertilize them. The eggs that sink to the bottom and were not fertilize the female will go to the bottom and stir them up so the male can take of them. Of course, the water salinity must be just right for this process to take place. That is what makes this region so perfect for them to lay their eggs. We can give thanks to the great Mississippi river for providing this region with the right combination of fresh and salt water that is perfect for the speckled trout to spoon. Once the water temperature reaches a certain temperature the spoon will come to an end and the transition will begin inward to the shallow estuary. It happens at various times of the year because the cool fronts come at a slightly different time each year. Now I am only talking about maybe a thirty-day difference. Remember it all depends on the water temperature and how fast the cool fronts come down. 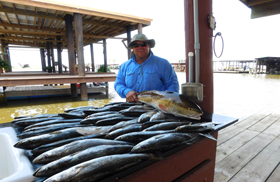 As you well know as the cool fronts began to come down and the north wind blows the water out of the duck ponds and pipe line canals the shrimp will gather up together and take that free ride out to the gulf. I always found it hard to understand that when the shrimp leave from the inside shallow bays the speckled trout move in for the fall and winter fishing season. We are about to get to the time of the year that we will all stop fishing with live shrimp and start using soft plastics for bait. Once we stop fishing with live shrimp and start fishing with soft plastic the method will change also. Using live shrimp all during the summer if fished three feet under a popping cork. However, fishing with soft plastics, we normally drop the popping cork off and resort to a cast and retrieve. Sometimes we will tight line the soft plastic on the bottom, but most of the time we will simply use a method of cast and a slow retrieve back to the boat. I find the fish during that time of the year a very aggressive because there is not a lot for them to eat and when they see something that looks like food they seem to blow up on it like it is going to be their last meal. 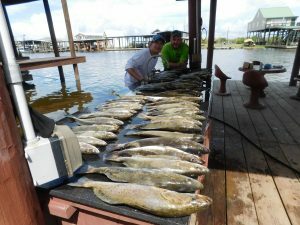 The fall speckled trout fishing season is probably the best time of the year to fish for a few reasons. First you don’t have the trouble of putting a live shrimp on your hood every time you throw your line out. Second and most important you do not have to travel far to get to the strike zone. For all the folks, out there that does not have large bay boats, remember this the fall fishing season is dedicated to you simply because you do not have to travel far. 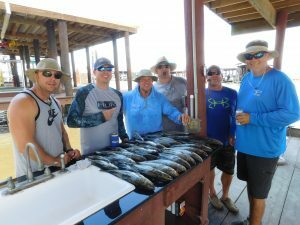 You must remember fishing the fall season with the cool fronts pass through every seven to ten days, it is very important to position yourself on the water at least forty-eight hours after the last cool front. You can fish all the way up to the next cool front, but you never want to find yourself on the water the first or second day after a cool front. The reason is because when the wind blows out of the northeast for two days, it will blow the water out of the broken marsh and shallow duck ponds. When this process takes place the top silty film mud laying on the bottom will move out with the hard-falling tide. This causes the water clarity to become very dirty and the fish will not feed in these conditions. They will find a deep hole somewhere and go to the bottom and just sit there in a hydronation state until the water clarity cleans up. Once the water cleans up they will start swimming around and feeding. This cycle will repeat itself repeatedly until sometime in February. Once we get a very hard freeze I believe that is the notice for them to get out of the shallow waters because they cannot take water temperatures below a certain point. At that time, they will get together and head back out to the gulf for the rest of the winter. 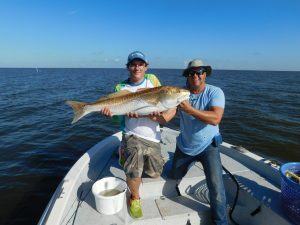 Nothing to worry about though because normally sometime in the early month of March they will start to show back up on the oyster reefs near the barrier islands for another spring season. Funny how mother nature will repeat herself year after year. 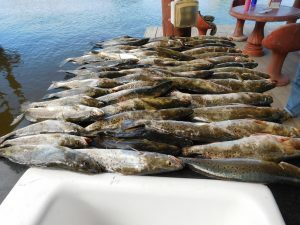 I always tell people to pay close attention to the conditions when you catch speckled trout and you will soon begin to connect the dots and better understand why and when the time is right to go fishing.